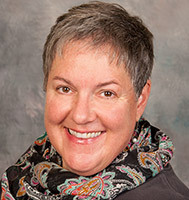 Gail has practiced at UW Health since 1998 in a unique collaborative practice with UW Health primary care physicians in ensuring the optimal care for our skilled nursing and rehab patients in identified area nursing facilities. Her focus areas included rehabilitation, short-term care, long-term care, chronic illness, palliative care and end-of-life care. She was nominated for the UW Health Outstanding APP Award in 2014.